Getting to the summit of Kilimanjaro. I am on my way to climb Kilimanjaro again. We had a full team of 10 people reach the summit yesterday and I head up the mountain tomorrow for the 22nd time with a team of 14 climbers. I will get 2 days off and then back up the mountain with a team of 20 climbers. We have team members from the US, Spain, Canada, Ireland, England and Scotland. Read some REVIEWS from our trips. I always look forward to the Lemosho route over 8 days as it really gives excellent acclimatization and preparation for the critical summit ascent. I look forward to the sunrises and sunsets along the western side of Kilimanjaro and most of all look forward to no phone calls, internet and e-mails. It is time to clear the head and go trekking. It has been 10 years since my Kilimanjaro climb in preparation for climbing Everest back in 2008. Back then 5 days was the preparation and in our ignorance we thought that was the way to do it. We were wrong and the company who brought us, were wrong. They just wanted to run the cheapest trip possible with cheap, equipment, tents, food and no safety equipment. Over the years I have learned that you need excellent physical preparation, well paid and quality staff, excellent food, tents, toilets, equipment and have all the safety in place as best as possible. 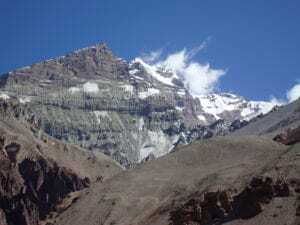 We chose the Lemosho route because there is more acclimatization, more climbing high and sleeping low, medical emergency evacuation by vehicle if needed between day 2 & 3 at the critical acclimatization point of the trip. The Lemosho route is the most scenic and most beautiful route up the mountain and there are less people on the right 3 days of the climb. 2). I need to pay more, for more time on the mountain and have better acclimatization for a safer, successful and more enjoyable experience going to a low oxygen environment. It is important to invest in the staff. We have the same team now for 8 years and staff are moving from porters to tent crew, to servers to guides and we pay them the correct wages and provide clothing for them. Our head guide and full time staff member will be joining me in Nepal in March to trek to Everest and then be the first Tanzanian to climb to 20,305 feet high on Island peak.